Nikita Redkar is a standup comedian and writer in Austin, TX. Her comedic style combines wit and charm with the buzzing energy of a toddler who learned to pick her own clothes. 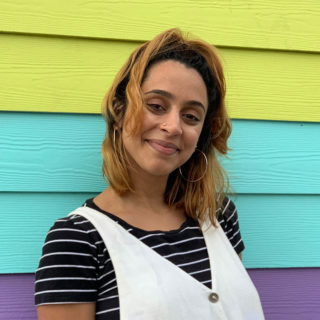 A staple in the Austin comedy scene, Nikita has performed in the city’s favorite bars and basements and has opened for national acts such as Sean Patton and Jermaine Fowler. She’s been featured in the Out of Bounds Festival, Del Close Marathons, and has performed in India and Germany.